The facts and how to prevent (and deal) with ingrown hairs. A combination of twin foils and floating middle trimmer with MicroComb Technology shaves even closer, even on 3-day stubble, for your comfort and efficiency. Best Electric Shavers for 2019? Here at Shavers, we know shavers and razors inside out (quite literally, did you know every shaver bought from us has the full backup of our in-house workshop and technical team?) We are also the largest specialist electric shaver retailer and have been dedicated to electric shaving for over 50 years! 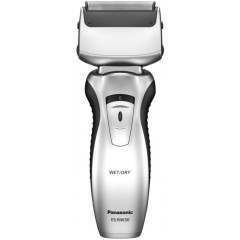 Below, you will find every electric shaver from the major brands on the market right now. Featuring German engineering from Braun and Japanese performance from Panasonic, there's genuinely something for every requirement, skin type and budget. If you're looking for a good place to start, why not check out the best electric shavers, ranked and rated or our guide to choosing your perfect electric shaver? When choosing a new shaver, the first thing to consider is are you looking for a foil based or rotary based device? These represent the two styles of cutting head employed by all shavers currently on the market. They both achieve a similar result, but the technique for use and the feel of the shave are somewhat different. It's not uncommon for someone who is a long-term foil user to struggle to get on with a rotary head shaver and vice versa. There is quite a bit of variety in the design of foil cutting heads these days, with designs featuring anything from 1 to 5 foil elements. However, they all work on the same principle of a curved static "foil" laying over a cutter block which moves back and forth underneath it. The foil is really more of a mesh and its surface area is covered with holes, sometimes all the same size, or sometimes in a varied pattern. The hair gets caught by these holes in the foil and then the cutter moving underneath cuts it. Popular manufacturers of foil shavers are Braun, Panasonic and Remington. Rotary shavers are quite distinctive and easy to spot, essentially they contain 2 or more likely, 3 round cutting heads, usually arranged in a triangular pattern. Very similar to a foil cutter, the outer "guard" of each rotary head stays still and catches the hair, while a cutter spins around underneath it and cuts the hair as it enters. When it comes to rotary shavers, there really is only one brand to look at, and that is Philips (or if you have a long memory, you may remember their shavers under the Philishave name). At Shavers, not only can you choose from a wide variety of models from every major manufacturer, we make sure our prices are among the best available. Sure, it's great to buy from a specialist, but you don't want to pay more than you need to! Find the right shaver for your requirements with help from our expert team. We will provide you with all the information you need to make an informed purchase.